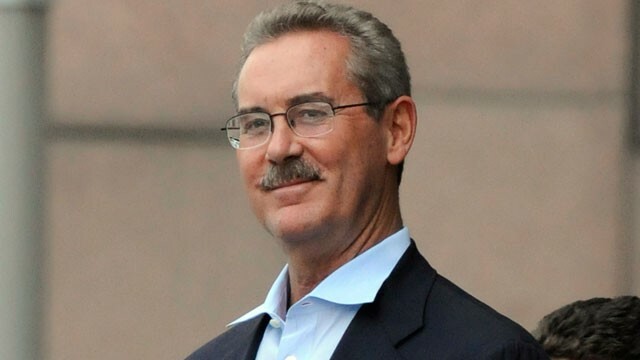 R. Allen Stanford, who looks exactly like he should with a name like that, has been sentenced to 110 years in prison for stealing over $7 Billion. A gentleman named Juan who works at Yahoo can do a much better job of describing the circumstances behind this Ponzi scheme. He looks happy in this picture. It must have been taken when he was wealthy, not when he was headed to prison to spend the rest of his life. This entry was posted in Criminal Steesh and tagged gentleman, government, Humor, Moustache, mustache, ponzi scheme, r allen, R. Allen Standford, smug, stanford, swindle on June 14, 2012 by Los Bulls.